Smart glove can translate sign language in real-tine. “Scientists are constantly working on user-friendly products for those with physical disabilities. In the past, these wearable glasses came out to help blind people see again. 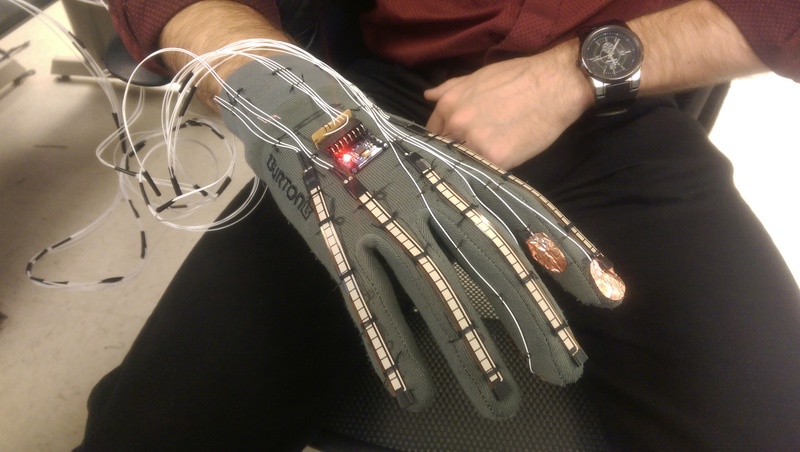 “The “SignLanguageGlove” is a wearable device and the first prototype featured over five flex sensors, an accelerometer, four digital graphic numerical display and a microcontroller board. And is capable of translating sign language gestures into visual words and displays it onto the screen. “A specific computer program was also developed by Ayoub that enables the glove to translate the output values generated by the sensors and accelerometer. Those values are then matched with a series of predefined statements that determine what letters to display for a specific set of input. The second prototype features an efficient software that allows faster and more accurate translation with a reduction in an overall size of the hardware. The size was reduced by incorporating miniature microcontroller and smaller flex-sensors. She also redesigned the interface of the software to allow text to scroll on a screen, which automatically erases old texts and displays the new ones. “The fourth version of Ayoub’s glove is already in development and is expected to include a smartphone and a tablet app that will allow real-time translation of sign language into text in various languages. Furthermore, the hardware will also feature the WiFi capability so that it can wirelessly communicate with the smartphones or tablets.